Choosing which handlebars you install on your bike can be challenging but fun. Handlebars affect your comfort and the look and handling of your bike, and understanding each type of handlebar will help you make an informed decision you’ll be happy with. Image to the left of Ape Hangers taken from Hill Country Customs. 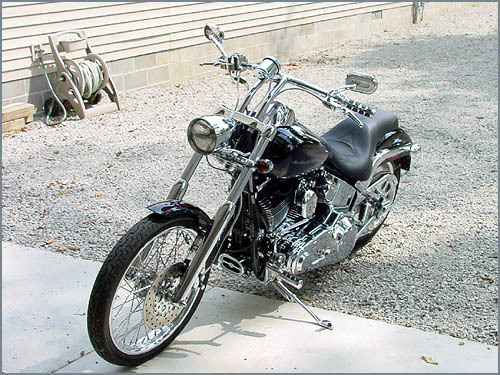 Ape Hangers are used on choppers, and they stand tall over the bike. Your arms reach up to grab them, and then rest wide and above your chest or head, which is why they’re called ape hangers. Ape hangers up to 20 inches are available, but some states have height restrictions. South Carolina does not regulate handlebar height. Clip-ons are two short handles that attach to the fork tube with a clip, unlike one-piece handlebars that attach with a bar to the triple tree. They are adjustable and popular on sport bikes. Clubman handlebars slant down and toward you, keeping your hands and arms close to your body. Riders choose these handlebars when they’re looking for an old-school look. Image to the right of Drag Bars taken from Hills Country Customs. Drag bars connect to the triple tree and are straight across or have a slight backward slope toward the rider for a forward, aerodynamic riding position. 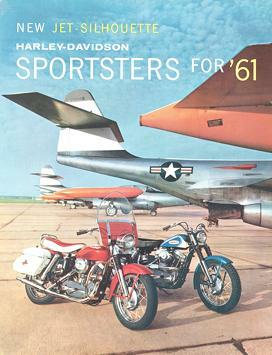 Standard cruisers slant toward the rider, and are the stock handlebars on many Japanese and Harley-Davidson bikes. Designed for comfort, these long handlebars allow you to sit upright and are height adjustable. Z-bars angle sharply and appear to be backward Zs meeting. The rise varies in height, and some Z-bars are also ape hangers. If you’re not sure which type suits you, try sitting on your bike in the most comfortable position for your back. Position your arms in their most comfortable position, and have someone measure the height and width of your hands relative to the bike. Then take the measurements into a bike dealer and test handlebars until you find the ones you like. Whether you have the handlebars installed or do them yourself, double check the installation to make sure it’s secure. 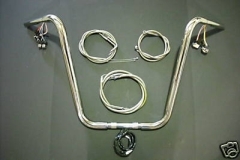 It’s also a good idea to keep an eye on handlebar and motorcycle manufacturer recalls. One of the biggest issues Ladson and Ravenel motorcycle accident attorneys deal with is incorrectly installed handlebars. If you’ve customized your handlebars, which did you choose and why? 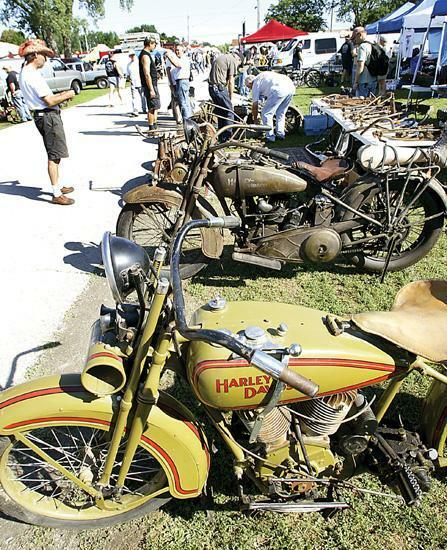 If you’re a history buff, a little searching will find motorcycle tours to just about anywhere you’re interested in visiting. Below are historical trips ranging from one day to two weeks and from one state to several. 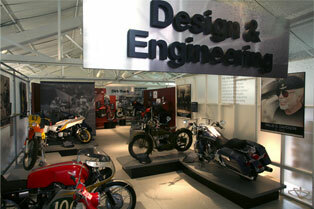 If you know of any motorcycle tours that other history lovers would enjoy, please let us know! This three-day ride commemorates the Trail of Tears, the brutal journey that tens of thousands of Indians took when soldiers forcibly removed them from their homes and sent them to Oklahoma to live during the 1800s. 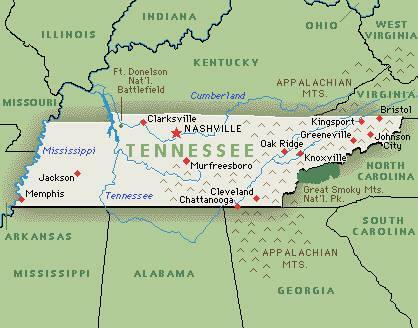 The ride begins on the third Saturday of September each year in Chattanooga, Tennessee, and continues to Tahlequah, Oklahoma, ending at the Cherokee Heritage Center. 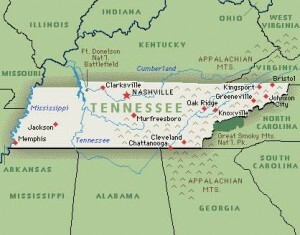 For more information, visit http://www.trailoftears-remembrance.org. This single-day trip in Montana starts at Culbertson and goes through the Fort Union Trading Post; Fort Buford, where Sitting Bull surrendered; the Lewis and Clark Interpretive Center; and the Fairview Lift Bridge. For those who love old west towns, try the Just Ride tour, which takes you to the frontier town of Scobey, just a few miles south of the Canadian border. Several more Montana motorcycle tours are outlined at http://visitmt.com/experiences/scenic_adventures/motorcycle_touring/high_plains/. On this 14-day tour, the road you’ll take is historic. Route 66, also known as “The Mother Road,” runs from Chicago to Los Angeles, and this tour takes you through the heart of America. You’ll see history meld with the present and visit cities such as St. Louis, Tulsa, Amarillo, and Laughlin. You’ll see the Grand Canyon, the Chain of Rocks Bridge, Ice Cave, Meramec Caverns, the Cadillac Ranch, and the Route 66 Museum. 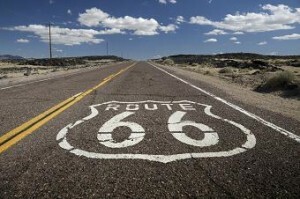 Tour information can be found at http://www.ridingroute66.us/index.asp. What’s your favorite motorcycle tour? 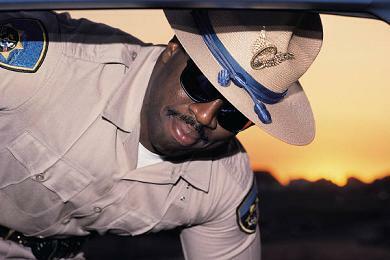 Do Police Officers Have to Wait the Full 20-Minute DUI Observation Period? Summertime typically evokes happy memories of cookouts, boating, family vacations and fun in the sun. While sunburns, jelly fish stings and broken air conditioning units represent some of the not-so-fun summer experiences, DUI arrests fall into their own category of a summer nightmare. In a recent decision by the South Carolina Court of Appeals, State v. Herchek, the issue before the Court was whether police are required to videotape a suspected DUI defendant’s conduct for the required 20-minute pre-breath test period if the defendant refuses to take the breath test. While the opinion rendered in this case is unpublished, and therefore can not be cited or used to set precedent, it nevertheless provides important guidance on this issue. Mr. Herchek was detained under suspicion of driving under the influence and refused to submit to a breath test. While it is required by South Carolina Statute § 56-5-2953, to record a Defendant’s conduct at the breath test site for a 20-minute observation period, the officer failed to do so, as it was not required under South Carolina Law Enforcement Division (SLED) policy. The Magistrate in Herchek’s case, therefore, dismissed the DUI charge on this ground. The State appealed to the Circuit Court, which upheld the Magistrate’s dismissal. The State then appealed the Circuit Court’s ruling to the Court of Appeals, where the dismissal was again affirmed. It is worth noting that as of May 2011, SLED policy had not changed in light of the Court of Appeals recent Opinion. Officers are not required to record the observation period when the driver refuses the breath test; however, many are recording the full 20 minutes, as required by South Carolina law. One of the main focuses of the Uricchio Law Firm is criminal defense. 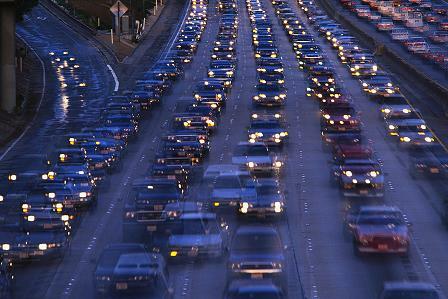 We handle DUI cases in Charleston, Berkeley and Dorchester counties. 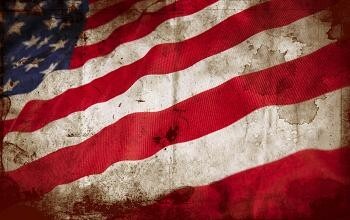 For more information about Uricchio Law Firm and our criminal defense practice, please click here. We would like to thank Bobby Frederick, an attorney in Myrtle Beach, for bringing this case to our attention through his excellent criminal defense blog. To read his post of this case, please click here. What is your opinion of this South Carolina Law? We want to know. Motorcycle recalls beginning in June 2011 are listed below. Manufacturers will notify owners of affected bikes, but if you have not been notified, or if you’re not sure whether your motorcycle is on the recall list, customer service numbers are listed. Image to the left of a 2011 KTM 450 EXC, taken from KTM.com. 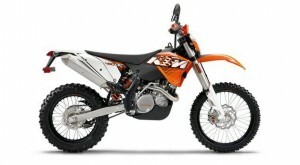 KTM has recalled over 1,200 KTM and Husaberg motorcycles manufactured from November 2009 through November 2010. Some handlebar clamps were not heat treated correctly, and they can develop cracks that allow the handlebars to move unexpectedly, causing loss of control or a collision. The recall began in June 2011, and owners can contact KTM Customer Service at 1-888-985-6090. Any authorized KTM dealer can replace the defective clamps free of charge. For more information, contact KTM directly, or click here. Honda has recalled over 3,000 model year 2010 and 2011 motorcycles for defective bank angle sensors that could give incorrect readings and cause engine stalling. Affected models include VT750 Shadow and Phantom motorcycles built from June 2009 to March 2011. Honda will replace defective bank angle sensors, and owners may contact Honda Motorcycle Customer Service at 1-866-784-1870. Reference Honda Safety Recall #R80. Because of incorrect machining on handlebar risers and clamps, Victory has recalled over 800 Cross Country motorcycles produced from January through April 2011. Polaris, owner of Victory, says the handlebars may slip, causing loss of control. The recall began in June 2011, and Victory dealers will test and replace the handlebar assemblies of affected motorcycles free of charge. For more information, owners may contact Victory Customer Service at 1-888-704-5290 or click here. Owners of affected motorcycles, or those with questions about any past or present manufacturer recall, can contact the National Highway Traffic Safety Administration’s Vehicle Safety Hotline at 1-888-327-4236 (TTY 1-800-424-9153), or visit the NHTSA’s website at safercar.gov.